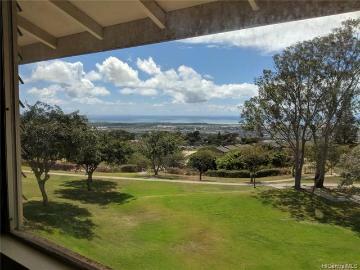 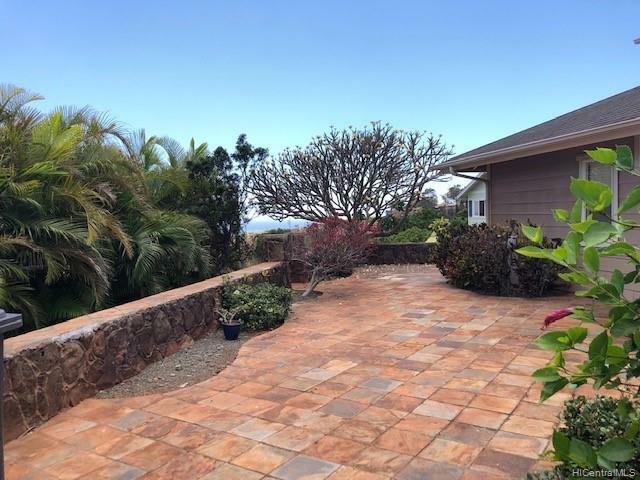 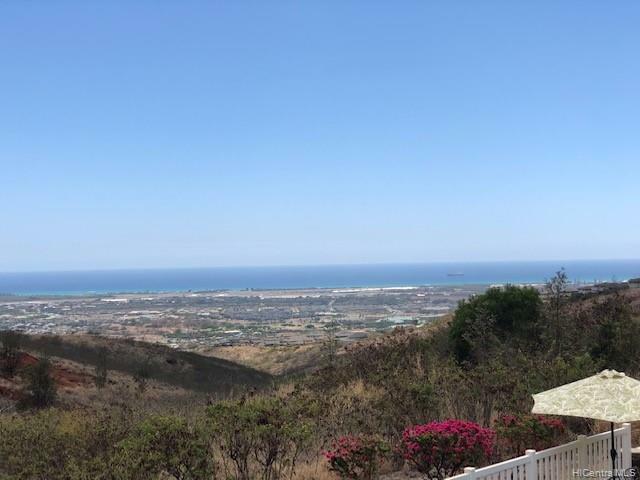 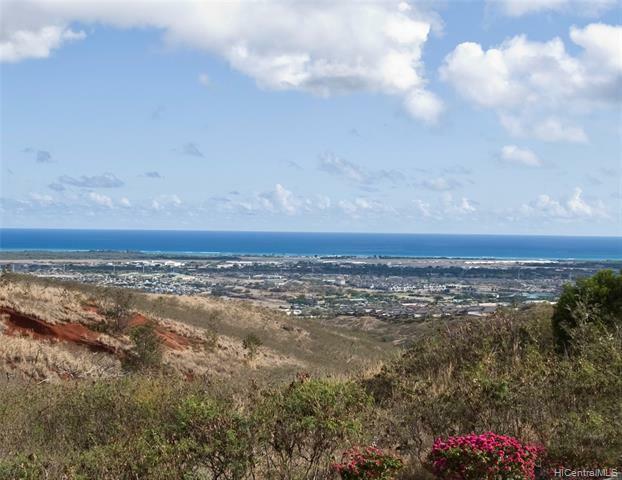 PERIMETER LOT with VIEWS- Ocean, Coastline, City Lights, mountain and sunrise. 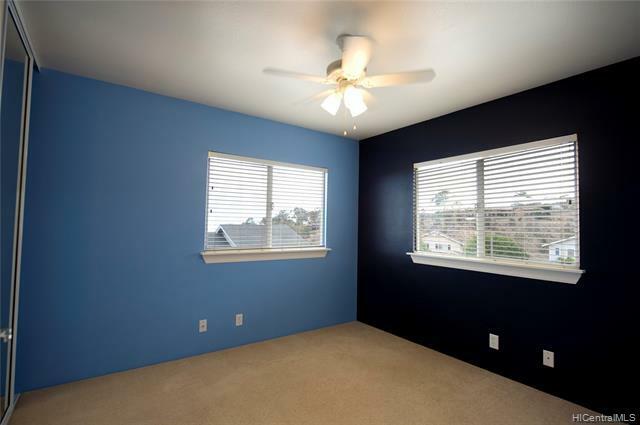 Every bedroom has a view. 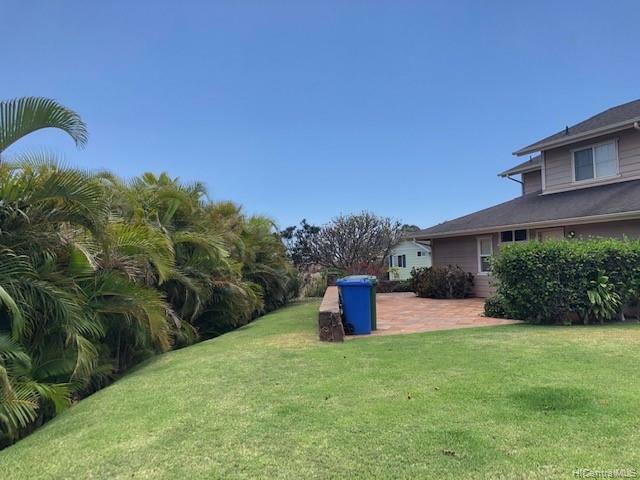 Located at the end of cul-de-sac -very private, no neighbors in the back/ left side has palm tress for privacy and fully fenced. 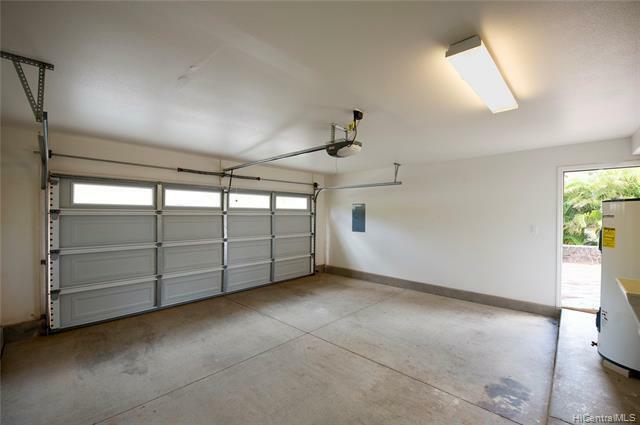 Long driveway that can fit additional 4 cars, besides the 2-car garage. 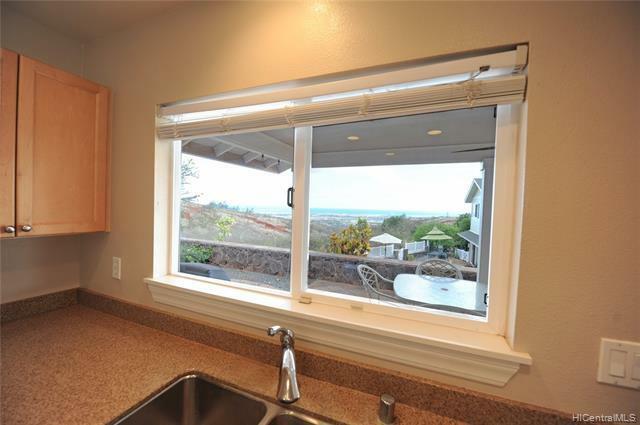 View of the Ocean from master bedroom/ dining kitchen and covered patio and second bedroom. 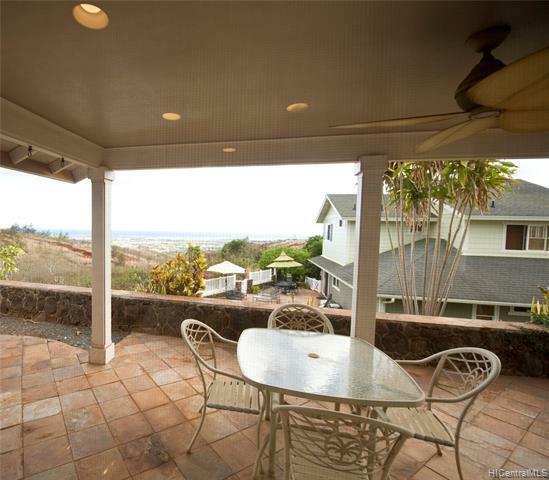 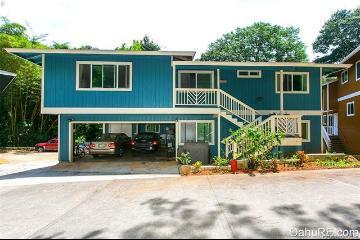 Relax in your covered patio and enjoy the ocean view and in the evening, enjoy the city lights. 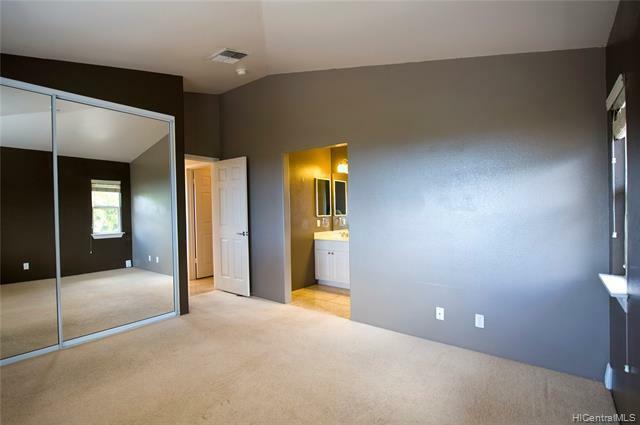 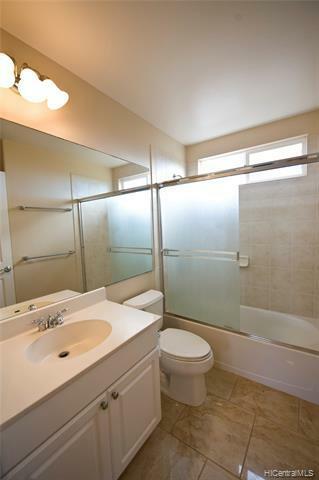 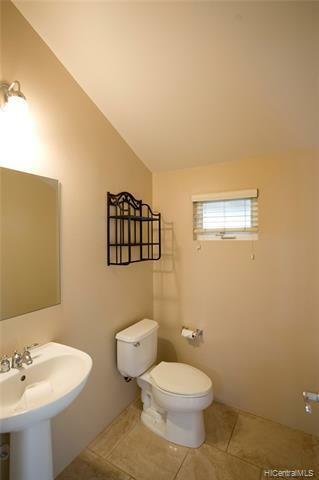 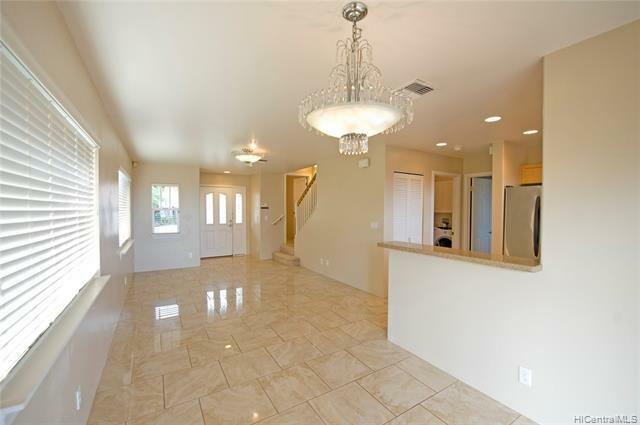 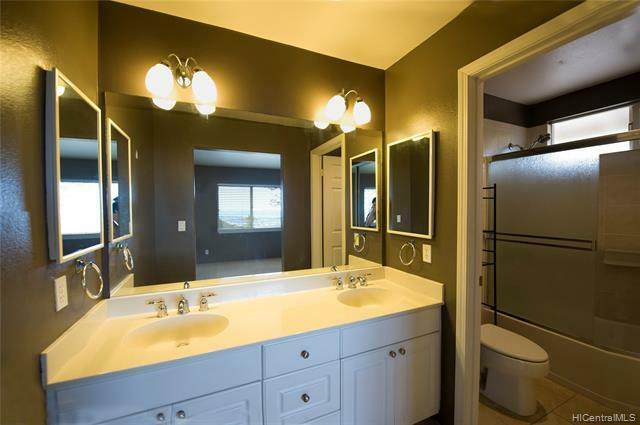 Master bedroom and full bath downstairs. 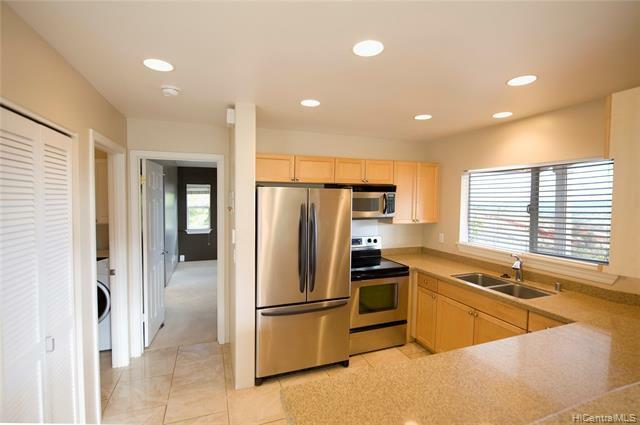 Spacious kitchen with corian counter top and stainless steel appliances. 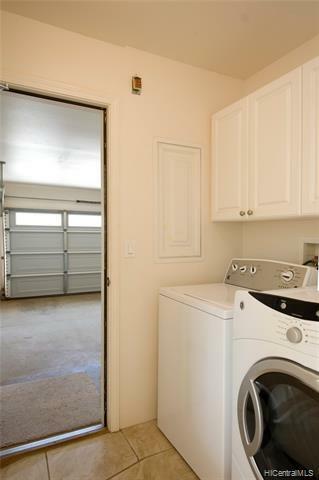 Nice tile floor thru out downstairs and separate laundry area. 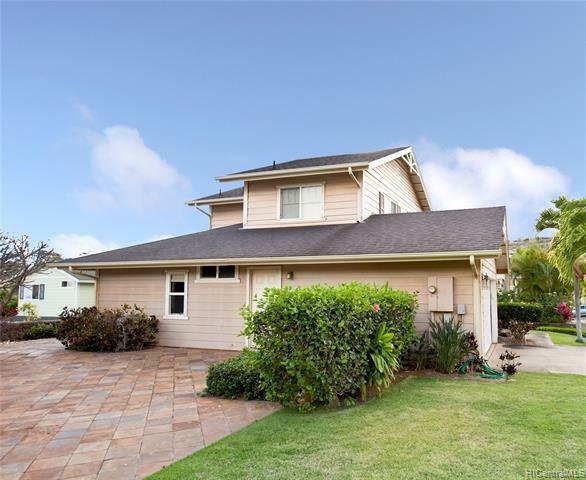 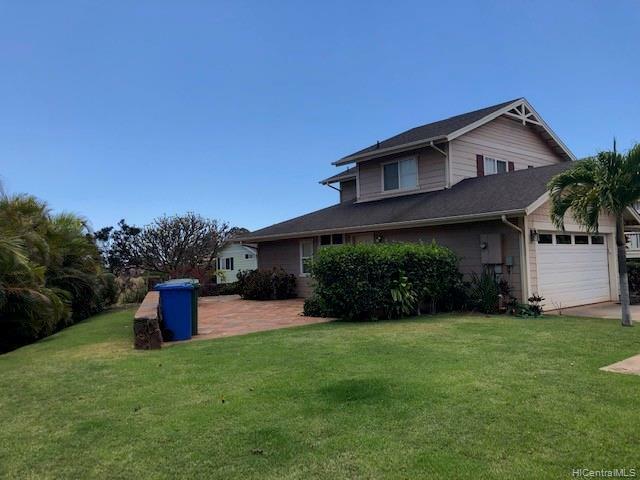 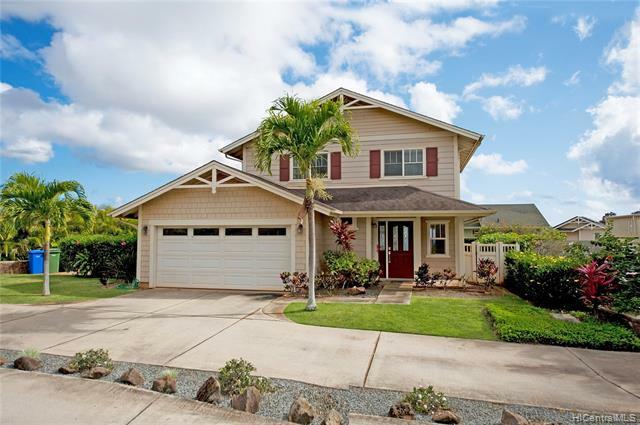 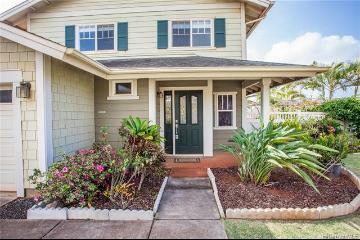 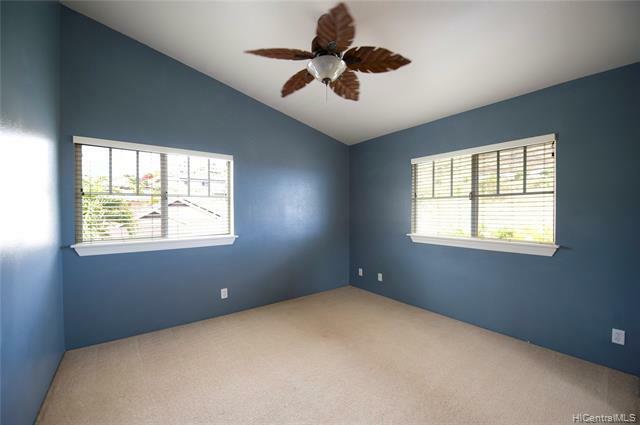 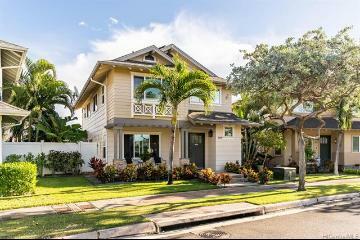 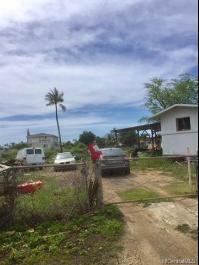 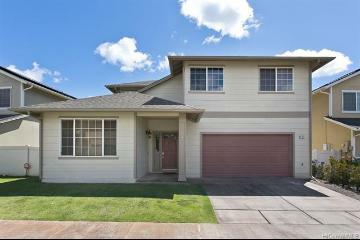 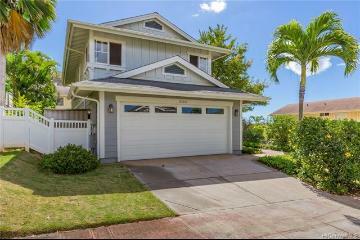 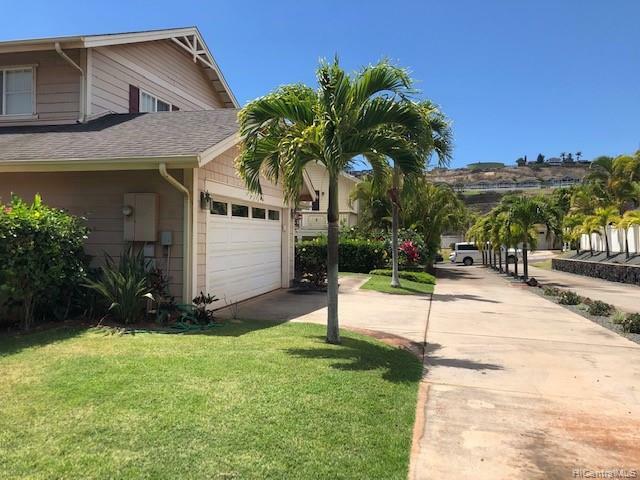 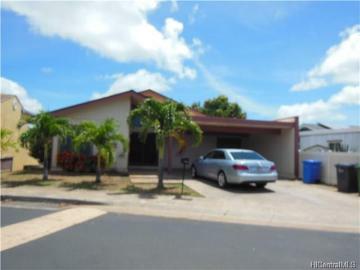 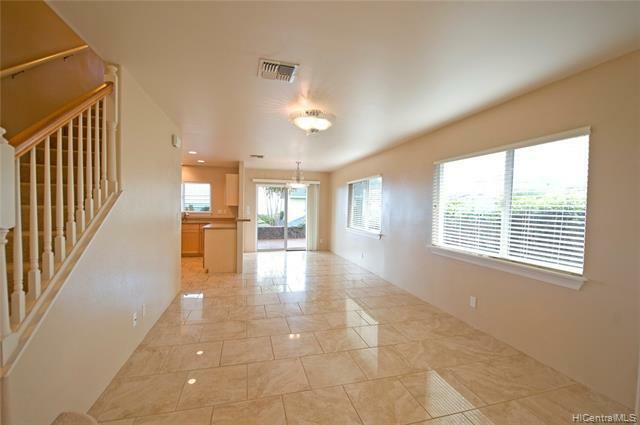 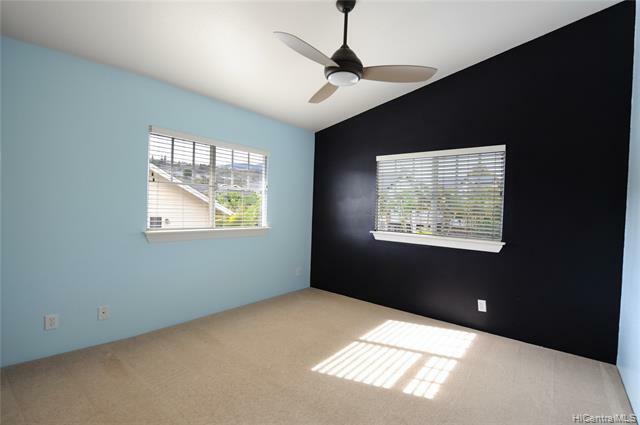 92-317 Palaulau Place, 65, Kapolei, HI.